2007 was a good year for MAC collections. 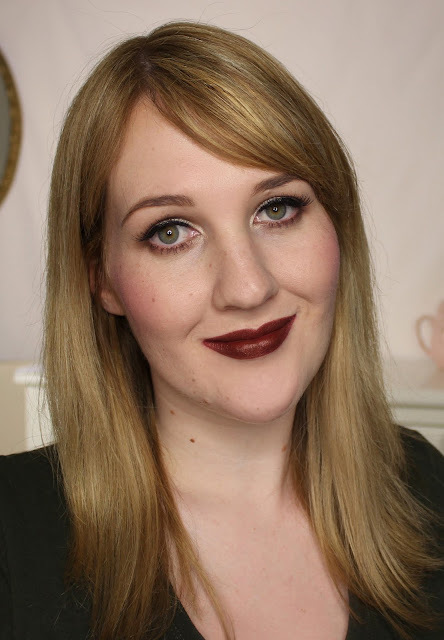 Barbie Loves MAC, the Raquel Welch Icon collection, Alexander McQueen... and Moonbathe. Housed in shimmering white packaging and filled with rusty bronze tones, Moonbathe is a collection I know I would have been all over, had my MAC introduction not begun a few years after its release. I only have one piece from this collection; I did have Afterdusk blush but foolishly destashed it. Why, past me, why?! I won't be letting Eclipse go anytime soon, though. Just look at it! 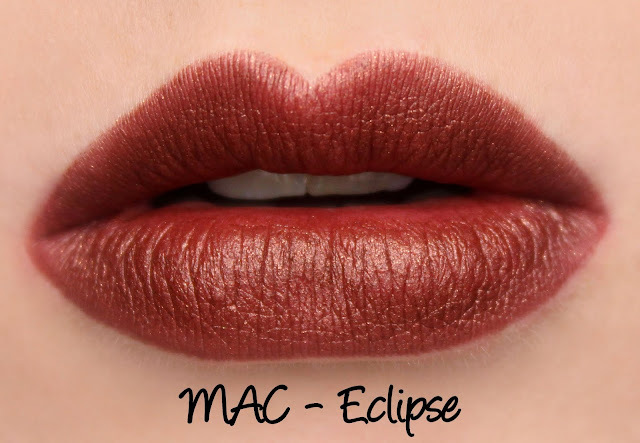 Eclipse is described as a 'deep rust with gold pearl' and has a Matte finish. There weren't many swatches online so I was expecting something redder from what I did see, but Eclipse is definitely on the brown side of rust. Not in a bad way, it's lovely and very unique! 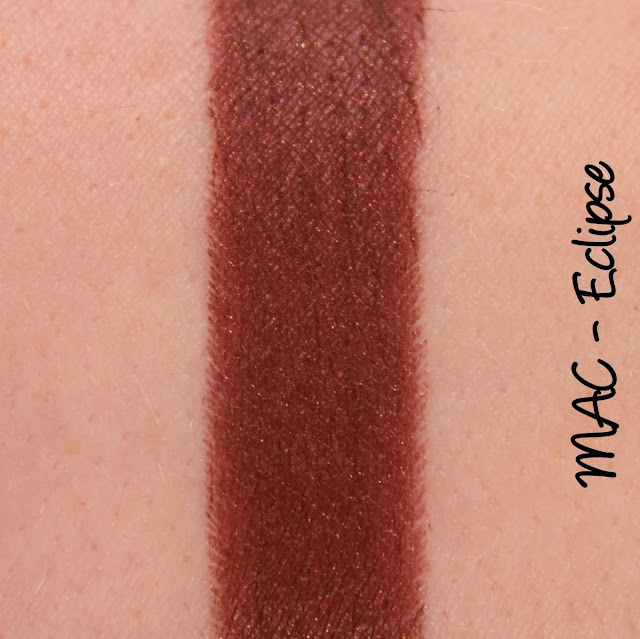 The shimmer is something not often seen in MAC Mattes (off the top of my head, I can only think of 3 shimmery Mattes) and really adds that certain something. Eclipse lasted six hours on me and wasn't drying. What do you think of Eclipse?